Of the four ‘Ps’ which frame the UK’s counterterrorist strategy – Pursue, Prepare, Protect and Prevent – the latter is by far the most controversial. It aims to stop people from becoming terrorists, or from supporting those who already are, by countering terrorist ideology and challenging those who promote it (‘counter-radicalization’), steering vulnerable individuals away from it (‘de-radicalization’), and working with sectors and institutions where these risks are considered high. Over 50,000 people and over 2,500 institutions – including schools, universities, mosques, and faith groups – engage with Prevent in over 40 priority areas and over a million people have received relevant training. De-radicalization is coordinated by Channel, an official multi-agency initiative offering non-compulsory, tailor-made support plans based on counselling and encouragement of approved activities, to those willing to receive them. 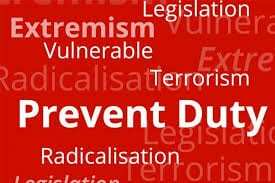 On 22 January 2019 the security minister, Ben Wallace, announced that Prevent would be independently reviewed in accordance with an amendment to the Counter-Terrorism and Security Bill currently wending its way through parliament. This should be welcomed by everyone with an interest in effective, human rights-compliant counterterrorist law and policy and particularly by those, like us, who have long contested the mythology of the anti-Prevent movement. Some critics of Prevent advocate greater transparency about operating criteria, performance indicators and outcomes, plus enhanced legal clarity and accountability, more information about how it operates in practice, and regular independent reviews. While these are not only welcome in themselves, if implemented, they would strengthen the strategy. However, others demand that Prevent be scrapped on the grounds that it is essentially a thinly-disguised exercise in spying and intelligence-gathering, driven by official Islamophobia and racism, which systematically criminalizes, victimizes and stigmatizes harmless, law-abiding Muslims, turns them into a ‘securitized community’, and blames them for jihadi terrorism. It also allegedly legitimizes Islamophobia in society at large, violates the rights to privacy, freedom of expression and non-discrimination, has a chilling effect upon public debate, threatens community cohesion, and is likely to be counterproductive in preventing terrorism. In the higher education context it has further been claimed that Prevent seriously threatens academic freedom, stifles campus activism, requires staff to engage in racial profiling, and jeopardises safe and supportive learning environments. Some, such as the University and College Union (the academics’ trade union), and the National Union of Students, advocate a boycott until it is abolished. However, figures published by the Home Office just before Christmas 2018, cast further doubt upon the already discredited case against Prevent. While no statistics are available for race or religion, the claim that it is Islamophobic and racist is difficult to square with the fact that, from 2015/16 – 2017/18, over a third of cases discussed at Channel panels did not concern jihadi terrorism (which is unlikely to involve any non-Muslim) at all, also true of just under 44% of those receiving Channel support. Since over two-thirds of Muslims in Britain are ethnically Asian, it is simply a matter of statistics rather than racism that the majority of those referred for concerns about jihadi terrorism will also be from such backgrounds. And as the European Court of Human Rights has held, provided a terrorist threat emanates from a particular minority, the fact that counter-terrorist initiatives impact disproportionately upon it does not, for this reason alone, mean that its members have suffered discrimination. In fact, age and gender are much more potent factors in the Prevent process than race or religion. In cases discussed at Channel panels, those aged 30-and-under are overrepresented (79%) as are males (83%), figures mirrored for those receiving Channel support (those aged 30-and-under, 85% and males, 87%). If it were not for the fact that, by comparison with women of all ages and older men, all the evidence overwhelmingly shows that young men are disproportionately involved in terrorism of all kinds, there would be much clearer evidence that Prevent is ‘reverse’ sexist and ageist than Islamophobic and racist. But, since it does not fit anyone’s political agenda, no one has made this accusation. The figures also demonstrate, as the government and others have long maintained, that the purpose of Prevent is to safeguard those referred to it. For example, 95% of those subject to a Prevent referral – an annual average of 7,014 from 2015/16-2017/18 – were filtered out of the process without undergoing any form of de-radicalization. However, it was also decided that, while 38% of cases referred over this period required no further action, the remaining 62% did. Of these 45% were signposted to other services and 17% were considered suitable for discussion at a Channel panel. Seventy-four per cent of those receiving Channel support exited the process presenting no further terrorism-related concerns or with their vulnerability to terrorism deemed successfully reduced. Sixteen per cent withdrew. But in some of these cases support from other services continued and any enduring risk was monitored by the police. The remainder continue to cooperate with the assistance offered. Nor do the figures provide any support for the unsubstantiated allegation that Prevent is essentially an exercise in intelligence-gathering and surveillance. For one thing this is expressly prohibited by the relevant guidelines. It would also be contrary to data protection law and there is no evidence that the bureaucracy required for it to be effective has been created. A genuinely independent review of Prevent is unlikely to recommend its abolition simply because there are no credible grounds for doing so. On the contrary, it is more likely to recommend the kind of much-needed reforms which would strengthen its delivery and repair the damage to the reputation it has undeservedly acquired in certain quarters. Home Office, Individuals referred to and supported through the Prevent Programme, April 2017 to March 2018, Statistical Bulletin 31/18, 13 December 2018. See also Home Office, Individuals referred to and supported through the Prevent Programme, April 2015 to March 2016, Statistical Bulletin, 23/17, 9 November 2017, Individuals referred to and supported through the Prevent Programme, April 2016 to March 2017, Statistical Bulletin 06/18, 21 March 2018, https://www.gov.uk/government/collections/individuals-referred-to-and-supported-through-the-prevent-programme-statistics. See S. Greer, ‘Human Rights Perfectionism and the UK’s Counter-Terrorist “Prevent” Strategy’ (2018) 29 Irish Studies in International Affairs 1-10; S. Greer & L. Bell, ‘Counter-Terrorist Law in British Universities: A Review of the “Prevent” Debate’ (2018) Public Law 83-104. Ireland v. UK (1978) 2 EHRR 25, paras 225–32.